Margaret Stapleton named as a member of the RE/MAX Platinum Club. Margaret took the time to listen and understand our needs and desires so the homes that she showed us were really on target with what we were looking for. RE/MAX Platinum Club members, such as Margaret Stapleton of RE/MAX Alliance Evergreen, rank among the highest of producers with gross commission amounts of $250,000 to $499,999 annually. Stapleton hit the Platinum mile marker for 2015, completely unaware of her achievement. In addition to the Platinum Club, Stapleton also achieved the RE/MAX Hall of Fame status in 2012. RE/MAX Hall of Fame recognizes and salutes the exclusive group of top producers who have achieved more than $1,000,000 in gross commission earnings during their career with the company and is only given to approximately 2% of the agents in the country each year. One of the things that made a big difference in 2015 was having more listings. Stapleton sent out a lot of referrals and received three times as many referrals from as far away as agents on the East Coast. RE/MAX agents are the best in the world, and Margaret has the credentials that other RE/MAX agents look for when looking for a professional ally. 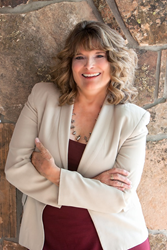 Margaret Stapleton focuses on relocation, luxury and investment property representation along the Front Range of Colorado, especially in Evergreen, Conifer, and west Jefferson County, Clear Creek County and Park County. Her goal is to help buyers find their dream homes or second homes, investment options, and help sellers discover the best solutions in a constantly changing real estate market. For more information, please call (303) 670-6341, or follow her on Facebook. The office is located at 30480 Stagecoach Blvd., Evergreen, CO 80439.